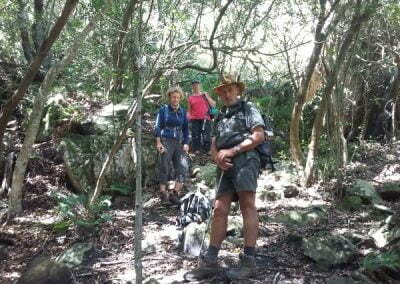 Walking in the Afromontane forest – Fernkloof nature reserve, we approached the pristine Afromontane forest called Assegaaibos .The tree communities known as Afromontane Forest are generally restricted to moist, sheltered kloofs that are protected from the prevalent fynbos fires. 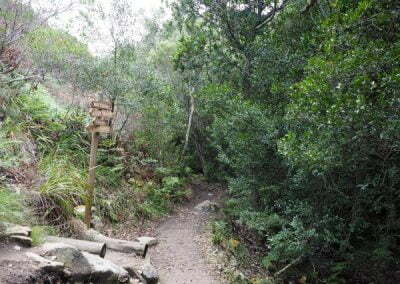 Afromontane forest are also the highest level of plant communities requiring higher annual rainfalls of 800 mm. 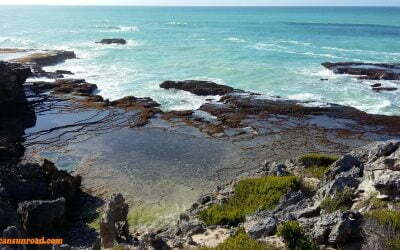 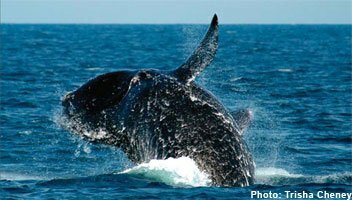 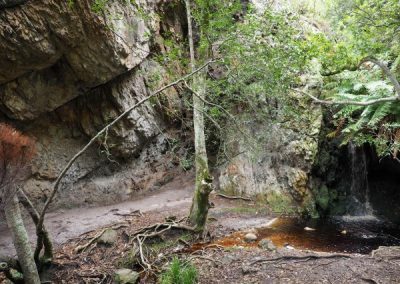 This isolated pocket of Afromontane forest – Fernkloof nature reserve, boasts a rich variety of coastal and montane plant species. 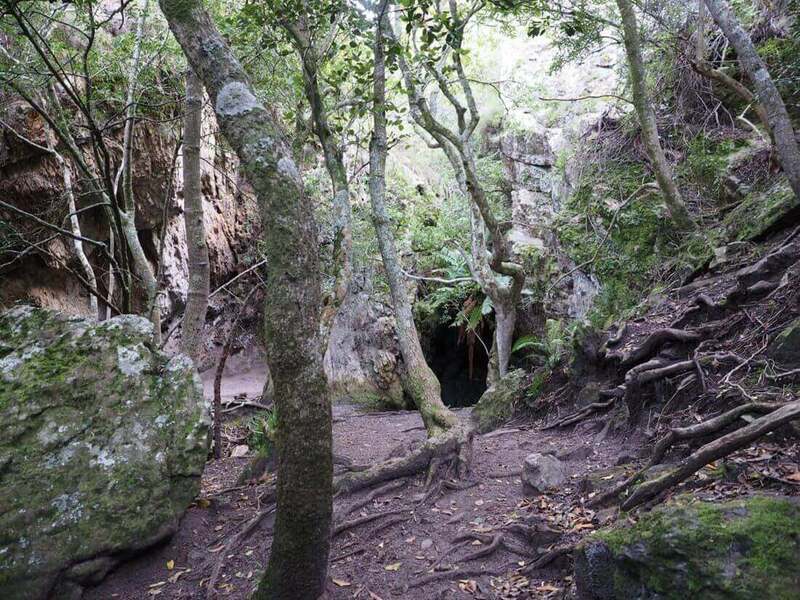 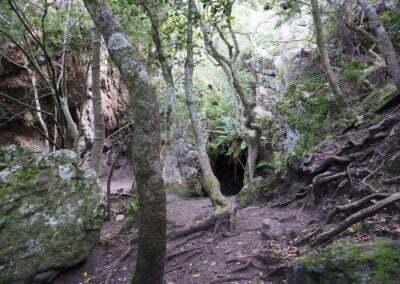 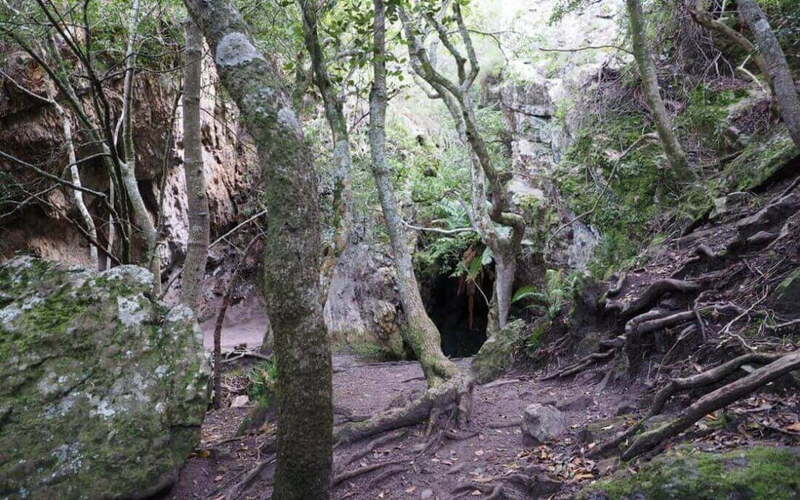 The fynbos biome is generally not rich in trees, there are however roughly 30 tree species found in the Afromontane forest – Fernkloof nature reserve. 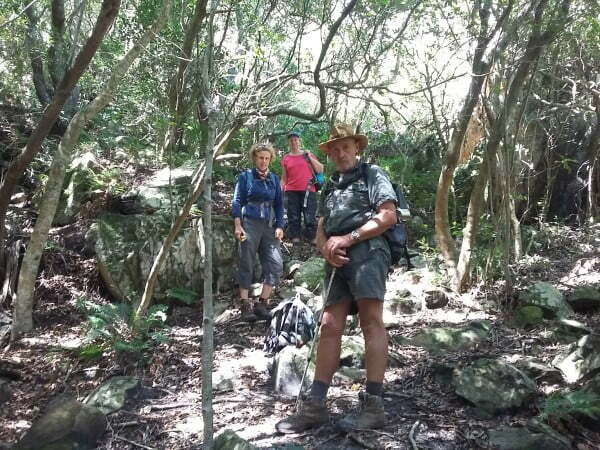 We were not even 2km from the visitors center in the Reserve and had walked from the Fynbos biome into the Afro-montane forest biome , a unique experience., Gill was doing a guided walk with a F.G.A.S.A assessor, who was testing her to qualify as a F.G.A.S.A guide. 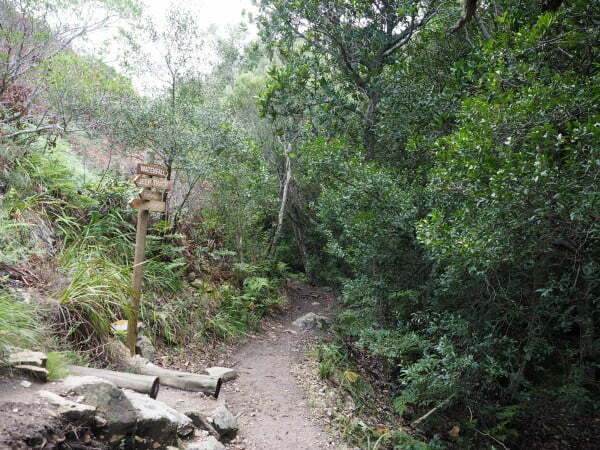 We were startled by a swooping Rufous-Chested Sparrow hawk that literally passed our heads less than an arm’s length away as it marauded through the Silky-bark, Rooi Els, and Boekenhout trees in search of prey. 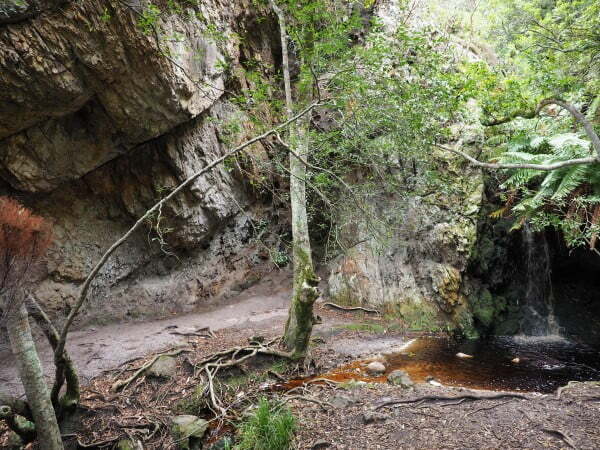 We stopped at the Assegaaibos waterfall for freshly brewed coffee and “Mosbolletjie” bread. 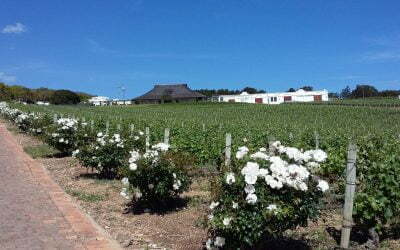 Mosbolletjie is a local South African bread which is dough leavened with the must of grapes and aniseed.